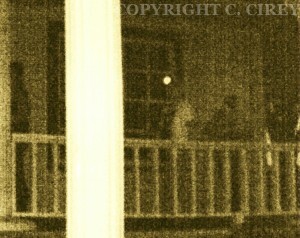 Claudia Cirey with VAPIR Paranormal and Past Present Paranormal. 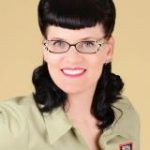 Claudia Cirey is the founder of VAPIR Paranormal and, most recently, the founder of Past Present Paranormal in Las Vegas. With those kinds of credentials, it’s not surprising that Claudia has had some amazing experiences – and she has the pictures to prove it! I was amazed at some of the photos that Claudia sent over. Click on them to see the full size. 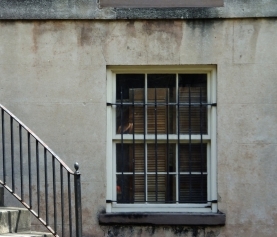 (The shadow person in the cemetery is especially worth a second look.) Thanks to Claudia for sharing these! Founder of Vapir Paranormal in Valdosta GA. 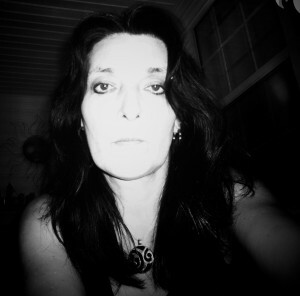 Founder of Past Present Paranormal in Las Vegas NV. 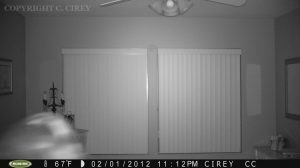 Claudia and another investigator walk into a house. The shadow of a woman is between them. 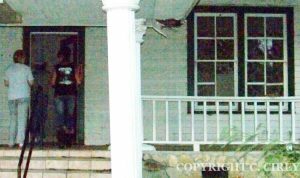 Unexplained shadows on the porch of a house. 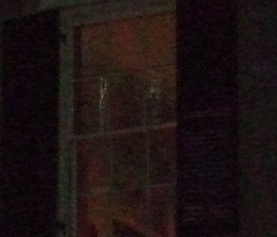 A mist over the house adds to the paranormal activity there. 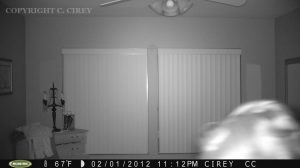 Unexplained Paranormal Activity in our Home. 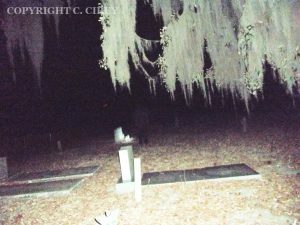 A shadow figure at a cemetery. 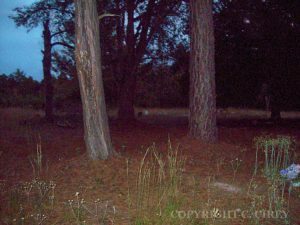 Part of an apparition is visible beneath the tree on the far right of this cemetery. 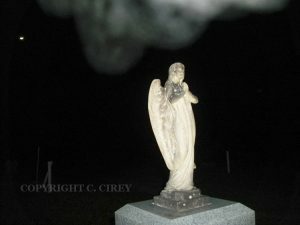 I would say, it was a local Cemetery, there was so many Unexplained Activity, I still have no Explanation for all of it. A mist floats over a cemetery. 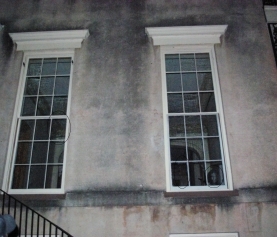 I like doing EVP Sessions, nothing better then a Class A EVP. All the Teams that keep it real, without the Drama. Don’t get into it for the Thrill. Investigations are a lot of Work, Research and take many Hours of Time. Follow the Rules, and never investigate any Location without Permission. 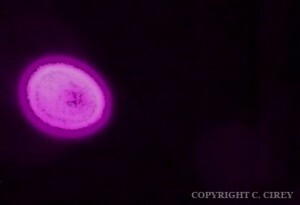 An orb captured with a full spectrum camera. Stay at Home Mom, retired Military Spouse, spending Time outside in my Garden and taking Care of the Household. 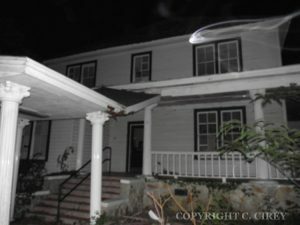 You can find us at www.pastpresentparanormal.com . ...that is clearly moving across the room. But what is it? Thank you so much Beth, the Article looks great ! Thanks, Claudia! I just love all the pics you have! And congrats on your recent awards!